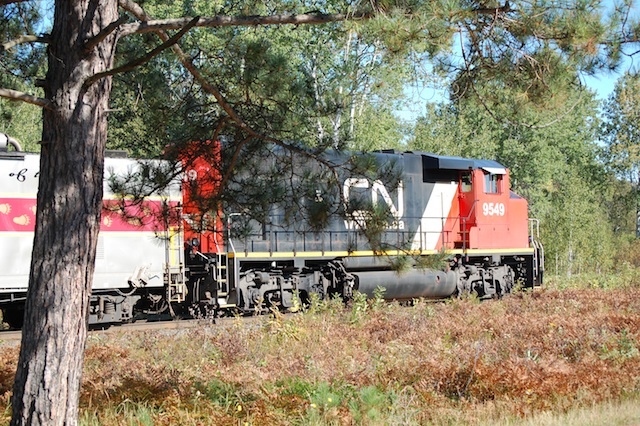 CAPT’s Two Day “Group of Seven & Glenn Gould Train Event” 2011 was an amazing, beautiful and fun trip. 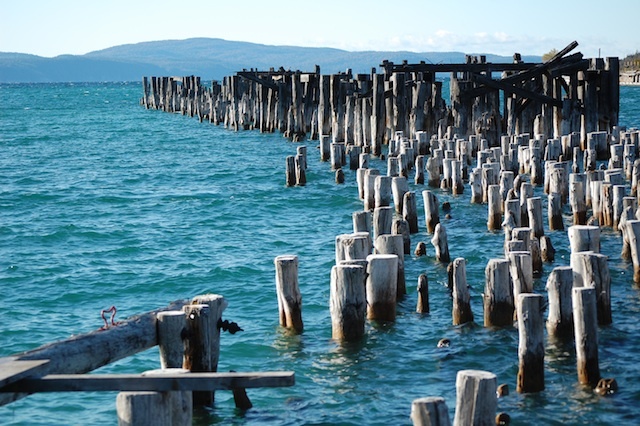 The weather was spectacular, the scenery was awe-inspiring and the fellow passengers were friendly. 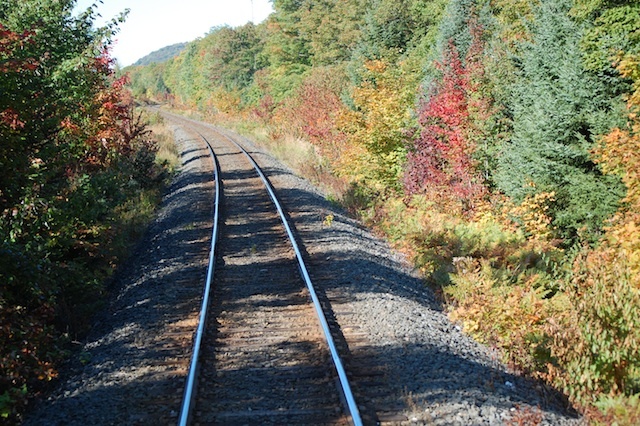 It was the 93rd Anniversary of the Group of Seven painting along the Algoma Central Railway line. We started out from Sault Ste. Marie, ON (“the Soo”) onboard the Algoma Central Railway and made our way into the wilderness through the trees and along side small lakes to Searchmont Ski Resort. 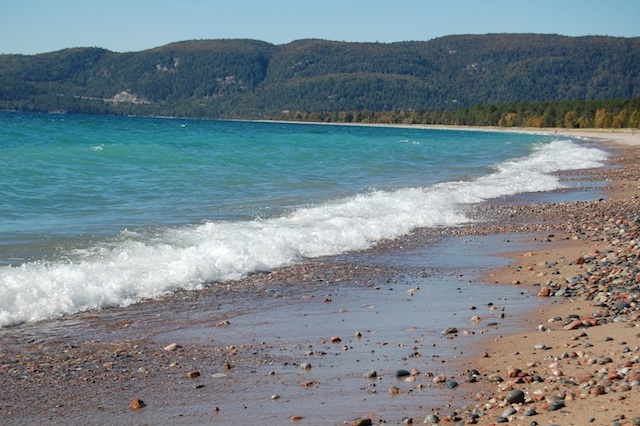 The One Day trippers stayed behind after lunch to participate in art classes or guided nature walks followed by refreshments and live music and finally a bus trip back to the Soo. The rest of us were taken up Highway 17 on-board a luxury bus for our overnight in Wawa, ON. 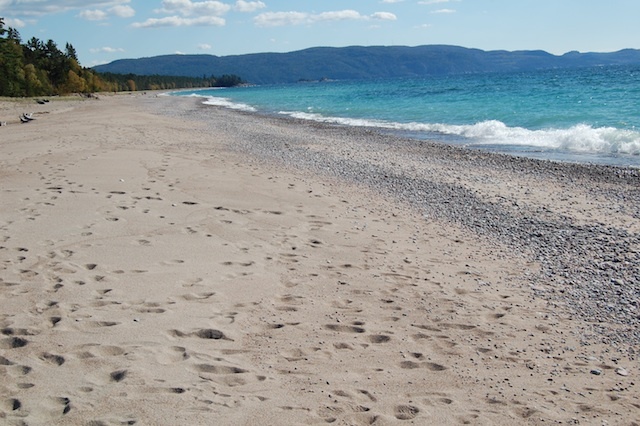 We saw Lake Superior along the way at various points and stopped in Lake Superior Provincial Park to visit the beautiful beaches of the largest fresh-water lake in the world! In Wawa we stayed at The Wawa Motor Inn (where Glenn Gould used to stay when in the North Country.) Following dinner at the Rock Island Lodge on Lake Superior Dale Innes, musicologist and Algoma University professor gave us an audiovisual presentation about the celebrated Canadian pianist and composer, Glenn Gould. 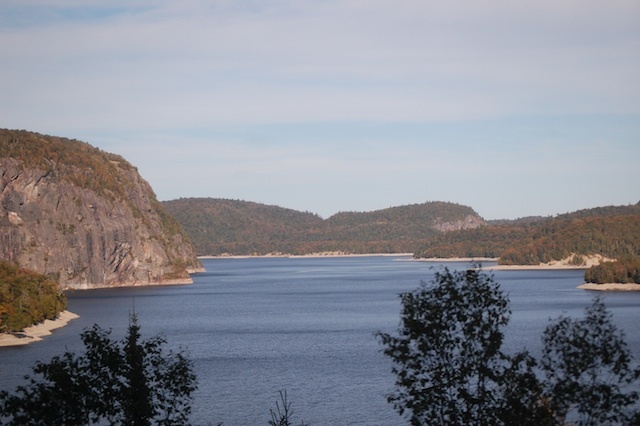 Gould had regularly visited Wawa throughout his life to enjoy serenity and scenery (peace and quiet). 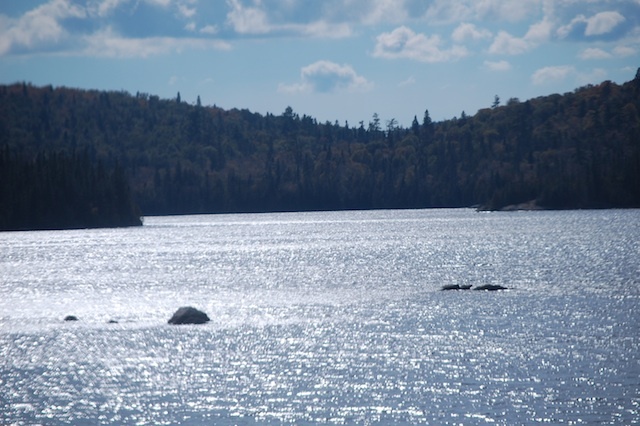 The next day our bus took us to some of Glenn Gould’s favourite great outdoor scenic haunts. 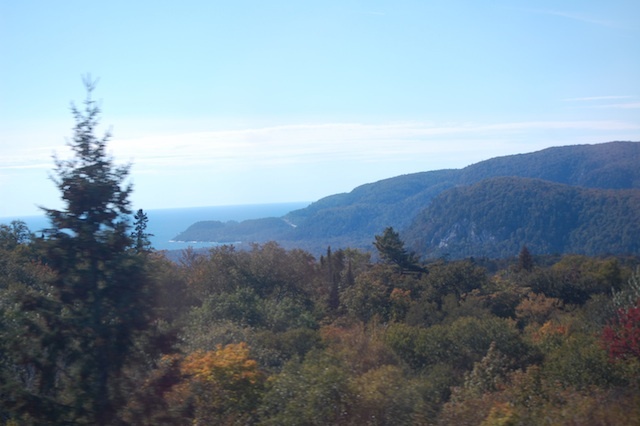 After lunch we boarded the train just outside of Wawa and started our journey back to the Soo, traveling through Group of Seven country, the Agawa Canyon, through more amazing spectacular scenery. Throughout the Two Day train ride our art guide, Michael Burtch, pointed out scenes of interest. From time to time he held up large reproductions of Group of Seven art pieces and pointed out the actual locations along the rail line where these pieces had been painted in the early 1900’s. 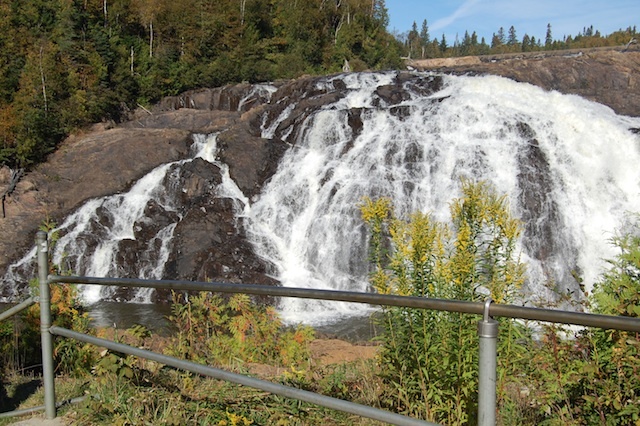 These locations still exist today–in the pristine Algoma wilderness of Northern Ontario, Canada! What where the best aspects of Two Day Event? – It was a jam-packed, very enjoyable trip. Information provided was very enlightening; food was great, accommodations nice, a wonderful weekend. – Enjoyed the day and tour immensely, will see you next year for the same. 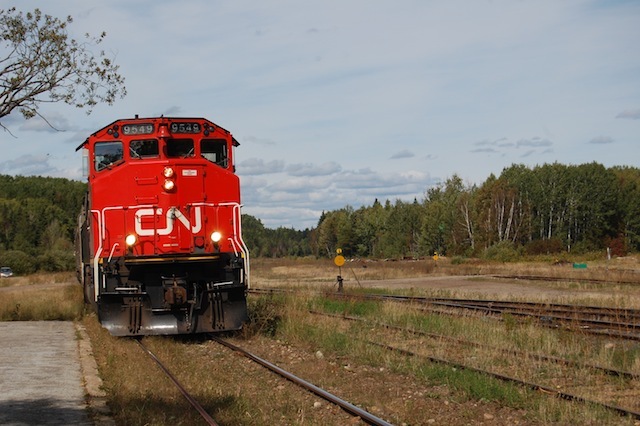 – Linda’s and CAPT’s effort and passion to save the rail is inspiring and hopeful. Small steps! – Well-done folks. I don’t know how you did all the food, transportation and lodging on such a price. Incredible value for the cost! What would you changs/recommend for next year’s Train Event? – Stopping at the Trading Post/ Canadian Carver was a little long; maybe a washroom break was needed, but not half an hour. 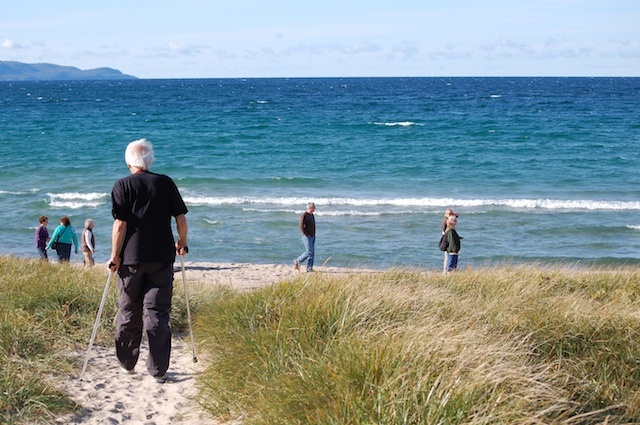 – It was all good, the Friday night gathering/social helped to break the ice! – more formal presentation on Group of Seven with slides and more Gould music. The knowledge of Michael and Dale was hardly tapped, more please! – Less bus travel and more experience, maybe do workshops in the morning. – Let Two-Day participants do workshops. Would pay more for a three day that included workshops. – maybe one extended play of a Glenn Gould piece so you can appreciate him. Don’t assume we know him already! Two Day should have a workshop too. Enjoyed Dale’s research. Is there some way to get all the clips together on one DVD? Do you own the master? – Nothing. We were celebrating our 10th anniversary, and it was wonderful!